Sometimes the greatest gifts are the littlest of things. And random acts of kindness are beautiful and heart warming, not only as a recipient, but more so, when you give. This post is inspired by a really great friend of mine whom I met at our kid’s kindergarten drop-off. I can definitely say that without her in my life these past 2 years, it would have been lacking tremendously. She is the kindest of souls. Out of the blue, on a random day of the week, she made an extra meal for our family because she had enough ingredients. She popped by with dish and a little note that said “Bake at 350 for an hour. Enjoy!” I was overwhelmed with gratitude. Being a mom of 3, some days, I don’t even want to think about the next meal or dig through my pantry to see what I could possibly make! Of course, she didn’t think it was a big deal at all… but honestly, it made my week. 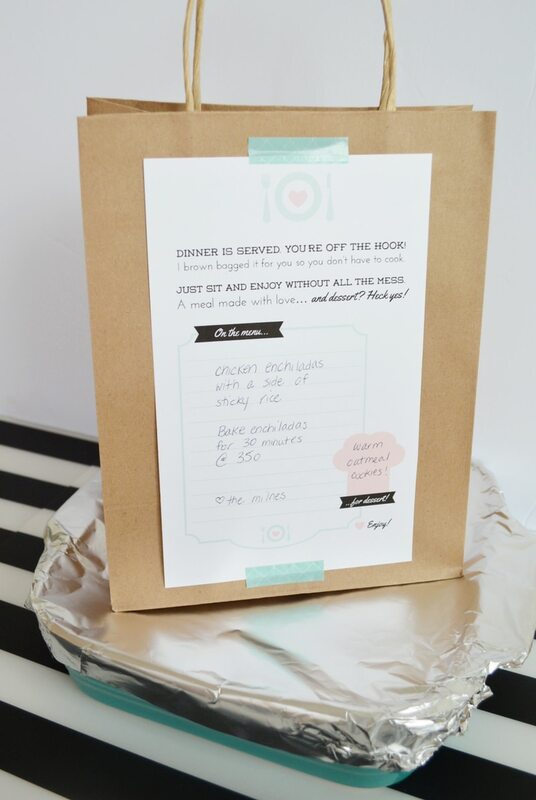 I returned the act of kindess last week when I popped by with a roast chicken meal from our grocery store. It wasn’t homemade, but it was a warm cooked meal that I know they certainly enjoyed. Even next day’s leftovers! This back and forth got me thinking that I want to do this more often to unsuspecting mom friends who deserve a little mid-week break or pick me up. Hopefully this post will inspire you to do the same. 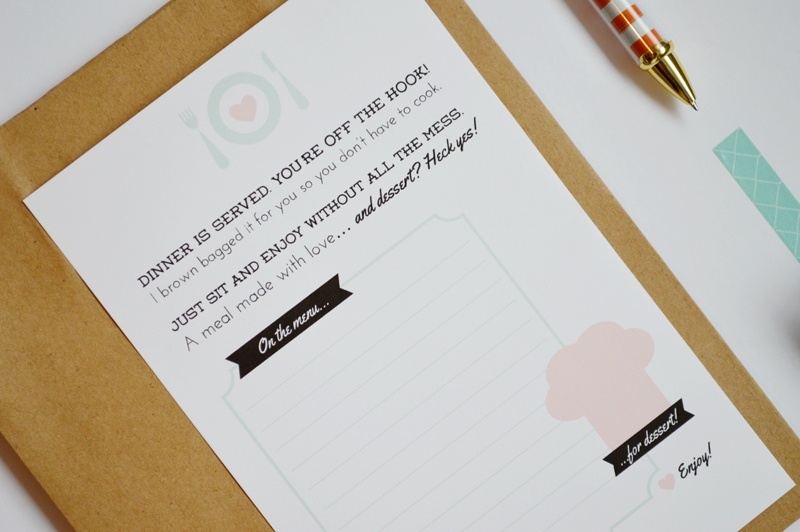 I’ve designed this fresh modern printable with a cute little poem to attach to your yums. Simply print a stack of them and have them handy when your eager kindness strikes. 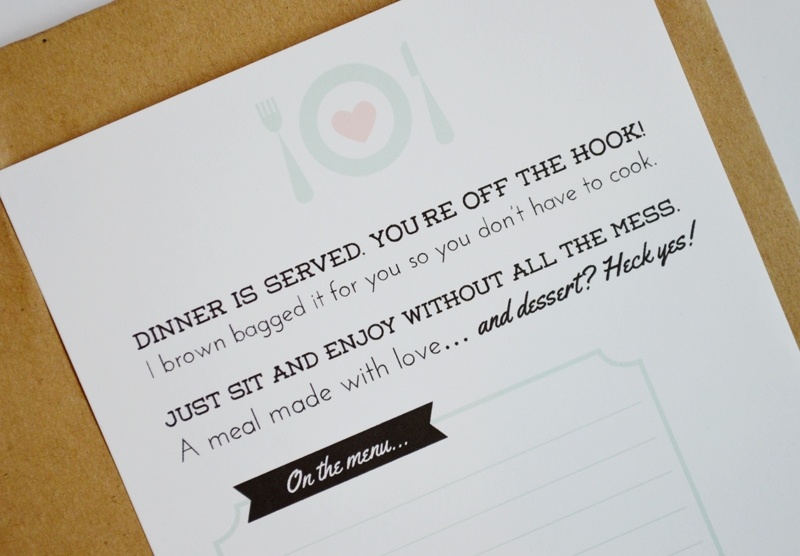 You can customize the printable with meal details, whether it’s homemade or store bought… and don’t dare forget dessert! 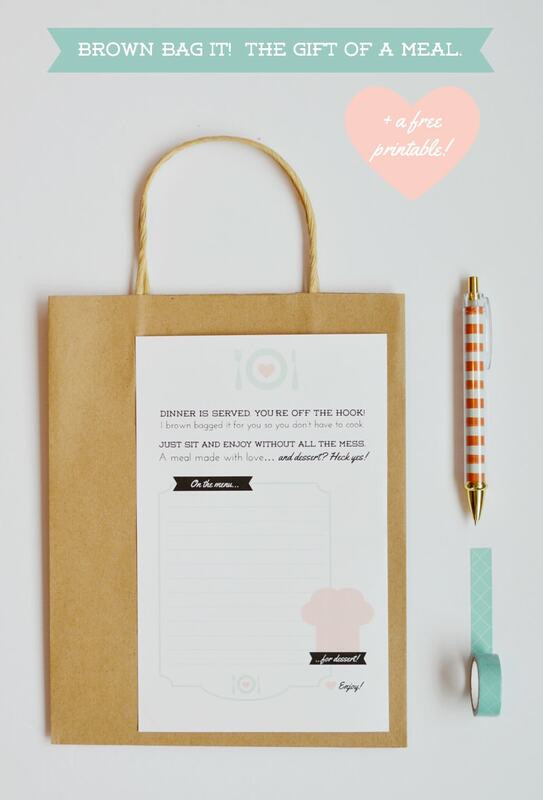 Download the Brown Bag It Meal Gifting tag here. Oh, and we’d love to hear how you used these and the response you got! Sarah is a stay-at-home mama of three little ones with an overflowing passion for design, both online and offline. The family of five lives in a creative, happy, healthy home in Calgary, Alberta, Canada. 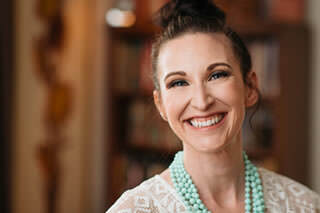 Sarah is the creative mind behind Daffodil Design, an independent design studio, and a brand new blog, SarahMStyle, a delightful little space where she shares ideas, inspirations, loves and bits of her every day. Sarah spends the majority of her time keeping her family happy and full-bellied. When she’s not building Legos or jumping on the trampoline, she loves to soak up a good home décor magazine, dream up interior projects, mamarazzi her kids, sip a hot latte, craft the night away, or release energy at the gym.